The Western Hemisphere Shorebird Reserve Network (WHSRN) recently designated nearly 80,000 acres along the Georgia coast as its 100th site of importance for shorebirds. The site, known as the Georgia Barrier Islands, was deemed a Landscape of Hemispheric Importance. The islands are owned and managed by a diverse group of private and public entities, many of which have committed to the WHSRN designation. 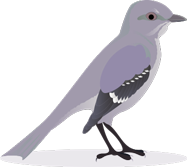 The Georgia Shorebird Alliance (GSA), a collaborative group of biologists, land managers, and organizations devoted to the protection of Georgia’s shorebirds, submitted the nomination. 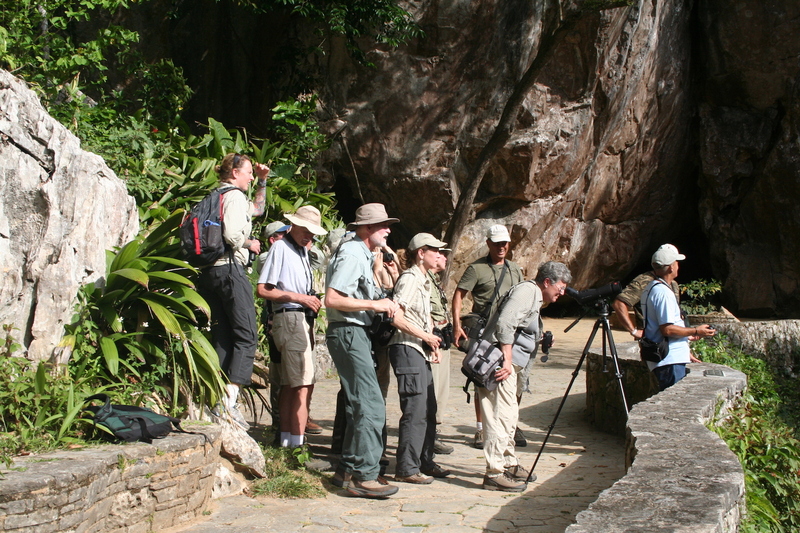 Commitment to the nomination comes from GSA members, including the National Parks Service (Cumberland Island National Seashore, Fort Pulaski National Monument), US Fish and Wildlife Service (Savannah Coastal Refuges Complex), and the privately owned Little Cumberland, St. Catherine’s, and Little St. Simons Islands, and the Cannon’s Point Preserve and Musgrove Preserve on St. Simons Island. Together they comprise 79,709 acres (32,257 hectares). 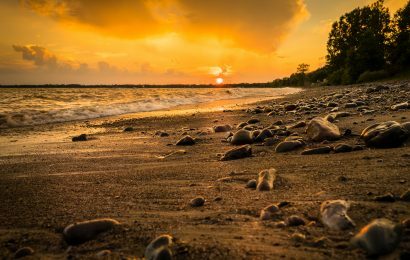 The islands support more than 30 percent of the biogeographic population of rufa Red Knot and the Great Lakes breeding population of Piping Plover. 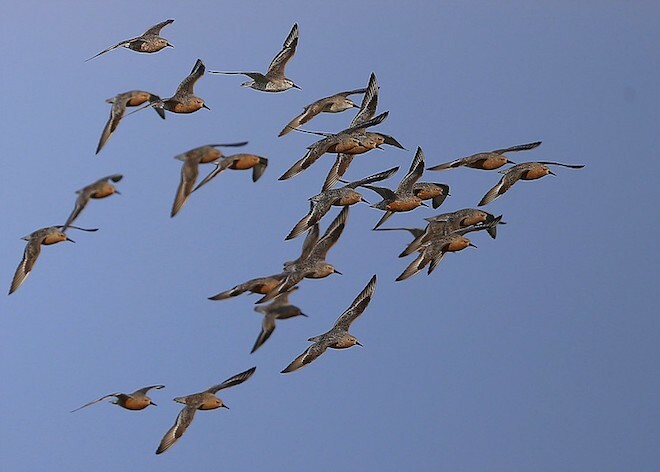 Based on a band re-sighting study, the stopover population of rufa Red Knot on southward migration has been estimated at 23,400 birds, while up to 13,775 birds have been documented using the area during northbound migration. The area also holds more than 10 percent of the biogeographic populations of American Oystercatcher (120 nesting pairs, 1,200 wintering individuals), Short-billed Dowitcher (maximum count of 14,608 individuals), and Black-bellied Plover (midwinter high count of 10,364). Other noteworthy attributes include one of the largest spring gatherings of Whimbrel in North America and impressive numbers of wintering shorebirds of many species. The new WHSRN landscape holds a variety of important habitats for shorebirds, including island beaches and dunes, offshore sand bars, and extensive sand and mud flats exposed at low tides. One of the more remarkable attributes of the landscape is the number of natural inlets with no engineered channels. 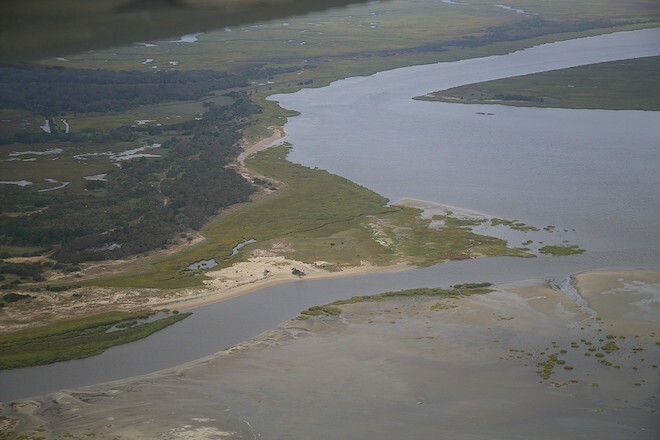 All of the inland sides of the barrier islands include extensive salt marsh, which provides critical foraging habitat for shorebirds throughout the year. With the addition of the Georgia Barrier Islands, there are now 100 WHSRN sites in 15 countries covering a total of 36.9 million acres (15 million hectares) of shorebird habitat across the Americas. 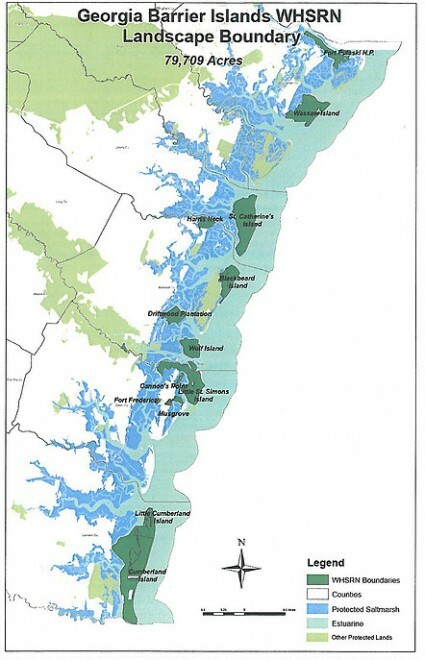 Georgia Barrier Islands becomes only the third WHSRN Landscape, and it’s the first to include an existing WHSRN site, the Altamaha River Delta, which was designated as a site of Regional Importance in 1999. 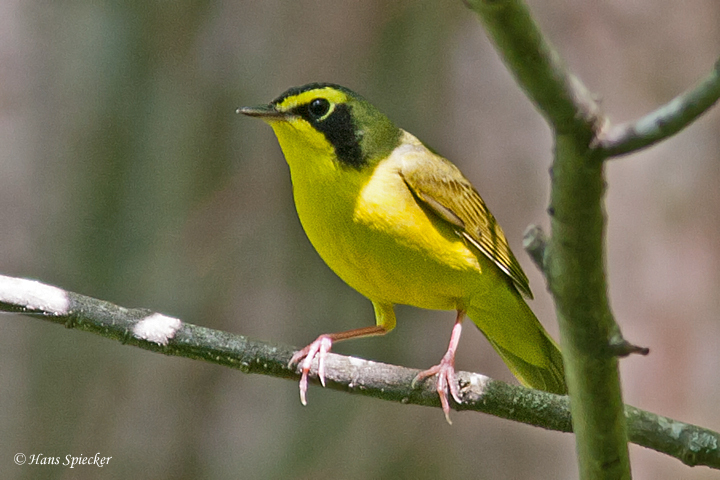 The WHSRN nomination process of the Georgia Barrier Islands was part of a larger North American project under the Arctic Migratory Birds Initiative (AMBI), led by the Commission for Environmental Cooperation (CEC). The CEC AMBI project has worked to identify and designate important sites for Red Knot (rufa and roselaari subspecies) and Semipalmated Sandpiper, and to engage the communities in Arctic-nesting shorebird conservation.